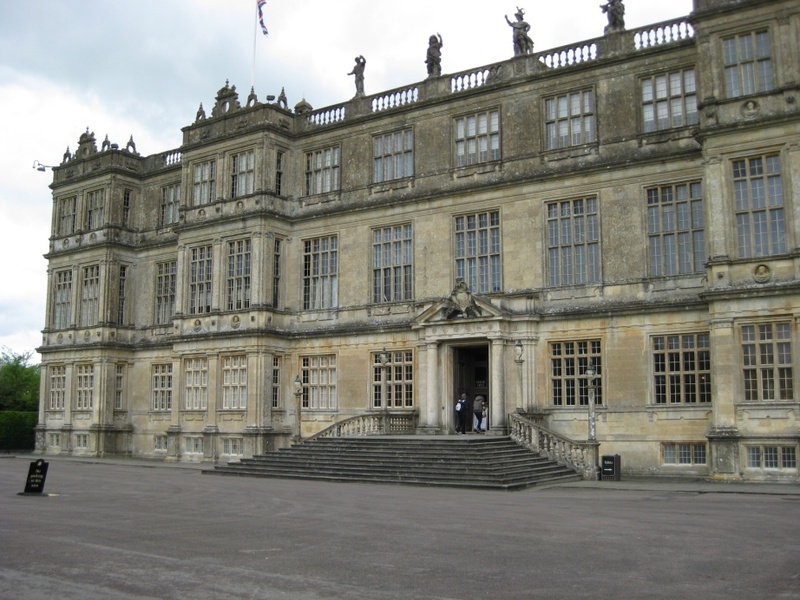 Longleat House itself is a stunning piece of Elizabethan architecture, set in 900 acres of Capability Brown-designed parkland, plus 4,000 acres of farmland and 4,000 acres of woodland. Originally an Augustinian priory, Longleat was purchased by Sir John Thynn in 1541 for a mere 53 pounds. The original house burned down in 1567, but was rebuilt by 1580, and has been added to and improved on by various family members ever since. The house is actually rather warm and inviting, given what an enormous structure it is. There is a room full of the marquess’ paintings, and the library is fabulous. We didn’t specifically visit the adventure park, but could see in the distance that it was a theme park sort of experience, with rides, slides, mazes, and animal-related exhibits. 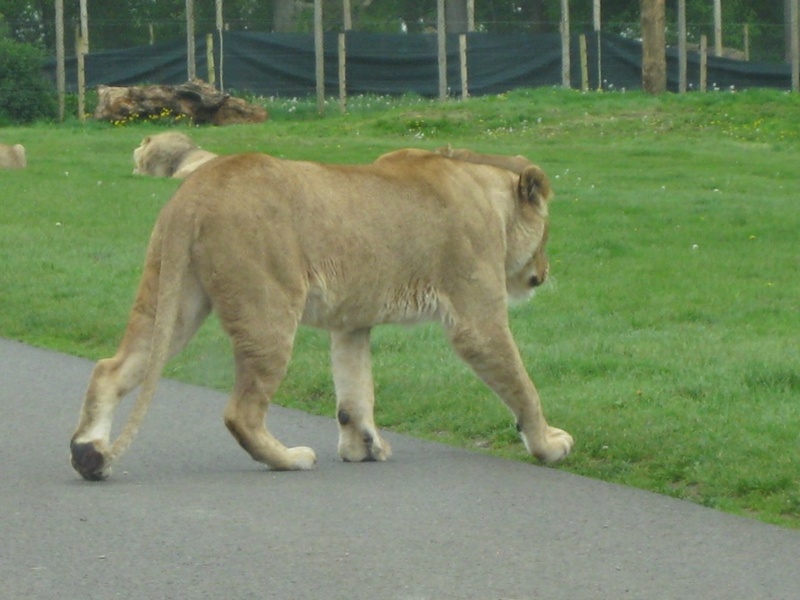 My husband and I stumbled upon Longleat while driving through Wiltshire, and saw a sign advertising a safari park. Not comprehending how there could possibly be a safari park in the rural wilds of the south of England, we followed the signs, where we came upon Longleat Safari Park, located on the grounds of the house. Opened 50 years ago in 1966, it was the first drive-through safari park outside of Africa. 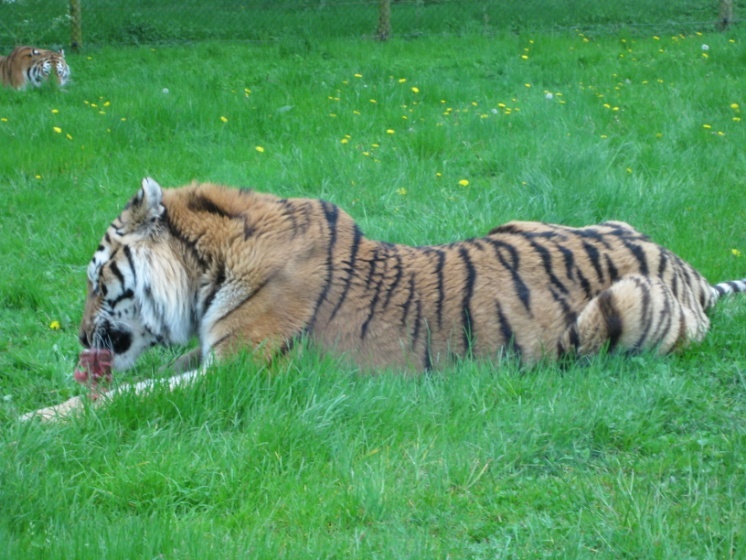 We were positively entranced by the park, which is home to over 500 animals. They even have a wild cat enclosure, and it was a little Jurassic Park-like to have to drive through electronically-controlled gates that seal you into the enclosure while you cautiously drive through (windows closed!) 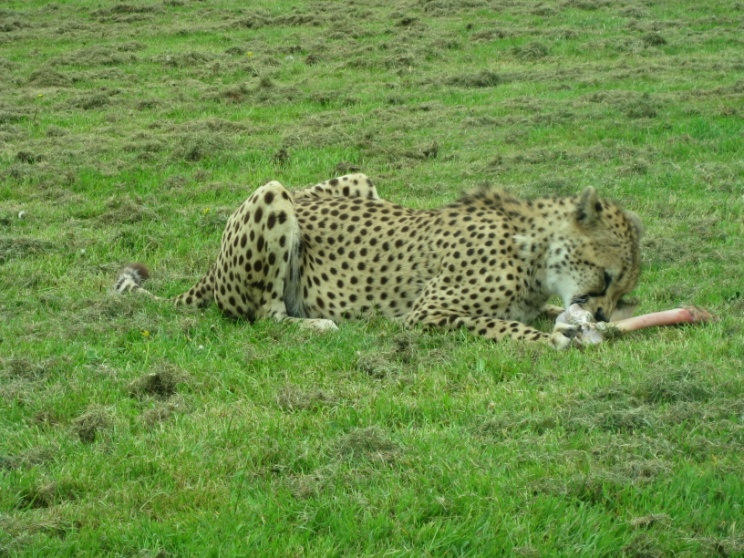 where the lions, tigers, and cheetahs graze about. 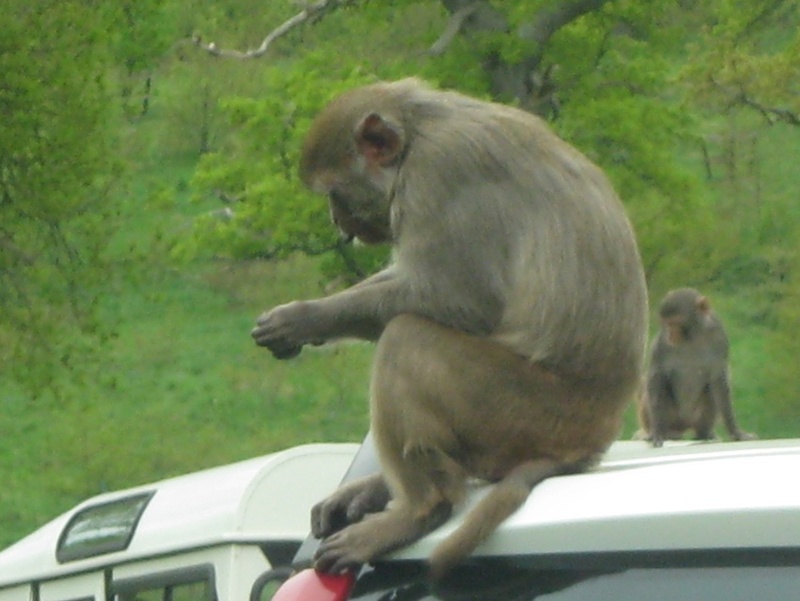 As you drive through the monkey enclosure, the little critters crawl all over your car, looking for items to tear off and gnaw on. It’s difficult to see in this picture, but this little fellow had torn off the antenna of the vehicle in front of ours and was dismantling it. You wait very respectfully while animals cross the road in front of you!